Seven Stories Press, 9781609807870, 240pp. The Years is a personal narrative of the period 1941 to 2006 told through the lens of memory, impressions past and present—even projections into the future—photos, books, songs, radio, television and decades of advertising, headlines, contrasted with intimate conflicts and writing notes from six decades of diaries. Local dialect, words of the times, slogans, brands and names for the ever-proliferating objects, are given voice here. The voice we recognize as the author's continually dissolves and re-emerges. Ernaux makes the passage of time palpable. Time itself, inexorable, narrates its own course, consigning all other narrators to anonymity. A new kind of autobiography emerges, at once subjective and impersonal, private and collective. On its 2008 publication in France, The Years came as a surprise. Though Ernaux had for years been hailed as a beloved, bestselling and award-winning author, The Years was in many ways a departure: both an intimate memoir "written" by entire generations, and a story of generations telling a very personal story. Like the generation before hers, the narrator eschews the "I" for the "we" (or "they", or "one") as if collective life were inextricably intertwined with a private life that in her parents' generation ceased to exist. She writes of her parents' generation (and could be writing of her own book): "From a common fund of hunger and fear, everything was told in the "we" and impersonal pronouns." Born in 1940, ANNIE ERNAUX grew up in Normandy, studied at Rouen University, and began teaching high school. From 1977 to 2000, she was a professor at the Centre National d'Enseignement par Correspondance. One of France’s most esteemed living writers, her books have been subject to much critical acclaim. She is the 2017 winner of the Margeurite Yourcenar Prize for her body of work. She won the prestigious Prix Renaudot for A Man's Place when it was first published in French in 1984. The English edition was a New York Times Notable Book and a finalist for the Los Angeles Times Book Prize. The English edition of A Woman's Story was a New York Times Notable Book. ALISON STRAYER is a Canadian writer and translator Her work has been shortlisted for the Governor General's Award for Literature and for Translation, the Grand Prix du livre de Montreal, and the Prix litteraire France-Quebec. She lives in Paris. "The author of one of the most important oeuvres in French literature, Annie Ernaux’s work is as powerful as it is devastating, as subtle as it is seething." "I admire the form she invented, mixing autobiography, history, sociology. The anxious interrogations on her defection, moving as she did from the dominated to the dominant classes. Her loyalty to her people, her fidelity to herself. The progressive depersonalisation of her work, culminating in the disappearance of the 'I' in The Years, a book I must have read three or four times since its publication, even more impressed each time by its precision, its sweep and—I can’t think of any other word—its majesty. One of the few indisputably great books of contemporary literature." "One of the best books you'll ever read." 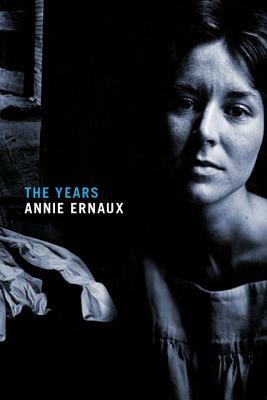 "Attentive, communal and genuinely new, Annie Ernaux’s The Years is an astonishing achievement." "A book of memory, of a life and world, staggeringly and brilliantly original." "Ravishing and almost oracular with insight, Ernaux’s prose performs an extraordinary dance between collective and intimate, ‘big’ history and private experience. The Years is a philosophical meditation paced as a rollercoaster ride through the decades. How we spend ourselves too quickly, how we reach for meaning but evade it, how to live, how to remember—these are Ernaux's themes. I am desperate for more." "The Years is a revolution, not only in the art of autobiography but in art itself. Annie Ernaux's book blends memories, dreams, facts and meditations into a unique evocation of the times in which we lived, and live."